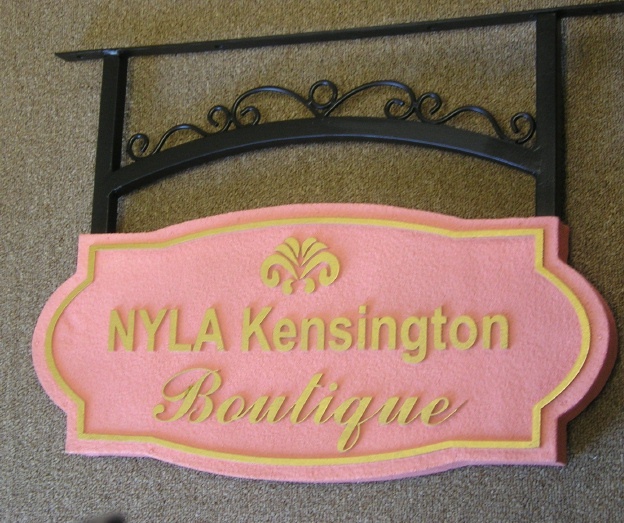 This elegant sign for the NYLA Kensington Boutique is carved in 2.5-D relief with raised text. The background is sandblasted in a sandstone texture. This sign can be mounted on a wall or hung from an overhead wood beam with its wrought iron scroll bracket (shown in photo). or it can be hung from a wrought iron scroll bracket projected from a wall or a post.